Having a joint party and can’t decide on the theme? No problem – we can incorporate the hobbies of your choice! 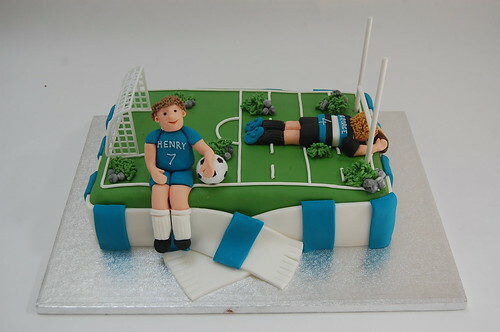 The Football and Rugby Cake – from £75.